Handy tip : Electric showers use a lot of current (Amps), make sure the cable securing screws are nice and tight to avoid overheating. 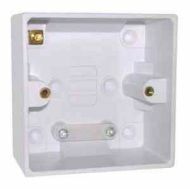 Extra deep pattress box to surface mount a shower pull switch or a single cooker switch. 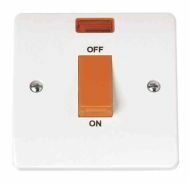 45A / 45 Amp double pole ceiling pull cord switch with Neon and mechanical ON indicators. Used for isolating the supply to electric showers. Heavy duty double pole 50A / 50 Amp ceiling pull cord switch, most commonly used to isolate high power electric showers. Very heavy duty, even has two screws to hold each conductor, instead of the normal single screw. 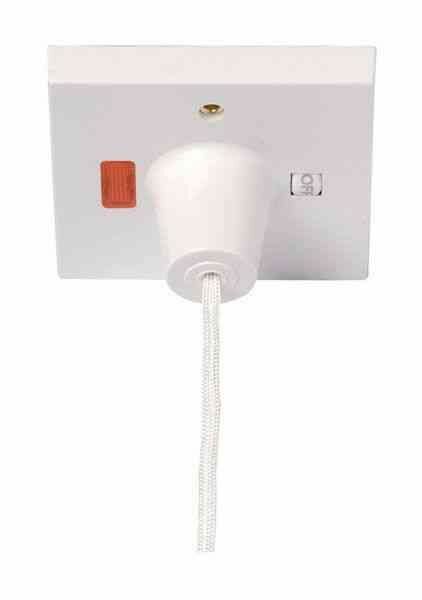 45A double pole isolator, useful for showers or cookers. 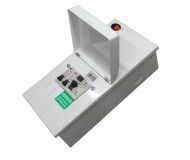 Metal garage consumer unit, complies with amendment 3 regulations. Includes 6A and 16A MCBs and 30mA RCD. 268mm high x 132mm wide x 103mm deep.